Serving Indian River County, the Treasure Coast, and all of Florida. Founded by award winning carpenter Doug Leman who has been in the construction business since 1981, Orchid Island Roofing specializes in roofing of all types including tile, shake shingles, asphalt shingles, and all styles of metal roofs. Our focus is on quality. Whether a new roof or a small repair -there will be no leaks, guaranteed. Our goal is 100% satisfaction and we won't settle for less. We are Licensed in ALL the areas where we perform and copies of those Licenses are available at all times, on request. These are our Key Suppliers -we enjoy a long standing relationship with each of them and besides getting us the best quality, colors and selection these folks work with us to keep our staff up to speed on the latest innovations and breakthroughs in products and installation techniques. We're proud of our relationship with them and are happy to share this with you. We are a certified Sharkskin Contractor. This gives our customers a ten year labor and material warranty! Kirsch Building Products, the manufacturer of the Sharkskin® roof underlayment line of products, was founded by Mark C. Strait in 2001. As is the case with so many successful product innovations, the creation of the Sharkskin® product line was born out of the recognition by Strait of a dire need in the marketplace. Having been a licensed roofing contractor for 26 years, Strait had witnessed the failure of the asphalt roofing felts that were the standard underlayment of the day (especially under tile roofing), and determined that a better and more effective product offering was needed in order for the industry to advance. Having studied the pitched roofing industry in both the U.S. and abroad, Strait decided to use advanced technology to create a superior roofing underlayment offering. Strait pioneered the development of a synthetic roof underlayment beginning in the late 1990’s. Over the years, the line of Sharkskin® roof underlayments has expanded to include four (4) different product offerings, which can be used in a wide range of steep slope applications. In addition to the continued expansion of roof product offerings, Kirsch Building Products is also using its technology to develop products for application opportunities in other construction industry segments. The first Sharkskin Ultra® roof underlayment was introduced to the marketplace in 2002. Over the next several years the ground-breaking synthetic line began to expand; first in 2004 with introduction of Sharkskin Comp®, then in 2009 with the addition of Sharkskin Ultra SA®, and most recently in 2011 with the development of Sharkskin Ultra Radiant®. A nationwide supplier of roofing products and manufacturer of metal roofing, Allied Building Products is there for us when we need them. They understand our Florida specific roofing needs and we value access to their knowledgeable staff as well as their extensive warehousing and delivery capability. Since 1888, architects, homeowners, universities, commercial and government clients have turned to Ludowici for uniquely beautiful architectural terra cotta products that stand the test of time, including roof tile & roof accessories. Ludowici clay tiles are the highest quality available, which is why they adorn thousands of historic and newly built structures around the world. Meticulously crafted in New Lexington, Ohio from locally sourced raw materials, Ludowici products are infinitely customizable and carry a 75-year warranty. Ludowici offers more than 40 different terra cotta roof tile profiles to suit any design aesthetic with Green Promise. Gulf Coast Supply has for us a huge catalog of quality metal roofing products capable of keeping out the weather that Florida oceanfront living requires. High velocity winds and updated building codes and energy efficiency are addressed in their offerings by the company's style and research and development departments. The manufacture what they sell and they understand what we are up against in the Treasure Coast. We work with Gulf Coast Supply and Manufacturing to be sure your High Velocity Hurricane Zone (HVHZ) roofing is of the right materials and design -and- is installed properly to give all the hold and wind/water beating performance your family can get in their home. They are the recognized leader of superior product testing and development in the Residential marketplace. View color charts. 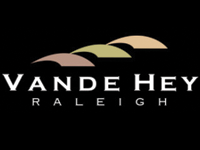 Vande Hey Raleigh manufactures roofing tiles that will compliment any home or building design. Located in Wisconsin, VHR ships roof tiles throughout the United States and Canada. We work with home owners, architects and builders to ensure the roof tiles enhance the overall building design. Our clay and slate roof tiles are designed for extreme climates and offers protection from fire hazards. This tile roof system withstands wind-driven rain, absorb minimal moisture and defy termites, rodents and rot. Every roof tile we manufacturer is custom made for your roof. Our tiles are designed with deep shadows for a more stunning look. Enviroshake products have been used in numerous high profile new construction and renovation projects such as Sandy Lane Resort in Barbados and the Henry David Thoreau home, and have been featured on various television shows. Enviroshake products are available across Canada, the U.S., the Caribbean and the Bahamas. To maintain the highest level of quality, Enviroshake products can be installed exclusively by Certified Enviroshake Installers. Ask for a brochure. Attic Breeze, America's Leader in Solar Powered Ventilation Attic Breeze solar attic fans are best in class, professional grade ventilation products. Other companies may market themselves as offering a professional grade product, but what does that really mean? We believe a professional grade product should be one that is engineered for a lifetime of durability. We believe a professional grade product should be one that is engineered for a lifetime of durability. It should be able to withstand the harshest weather conditions imaginable, intense summer heat year after year, and still function exactly as it was designed. These are not the over-seas made retail products you might find in a "big box" store. Professional grade means never using plastic (polymer) parts that will degrade in the sun or deform from heat over time. Professional grade is using only the highest quality parts and materials, even if that means it may cost a little more to make the product. And most importantly we believe professional grade means manufacturing in the USA, because when it comes to quality American made matters. Eagle’s concrete tile roofs are a smart choice for homeowners, architects, builders and roofers. Whether your interest is durability, color selection or energy efficiency, Eagle has the concrete tile roof to fit your needs. Eagle concrete tile roofs are beautiful. The available styles and colors will help enhance any architecture resulting in curb appeal that is not available with other roofing materials. Adding the performance and longevity of a concrete tile roof to its aesthetic qualities results in a project that gets noticed. Whether you are a production builder looking for ways to differentiate your development or a homeowner who plans to sell your home in the near future, a concrete tile roof will help increase the home’s value. Downloand Brochures. Orchid Island Roofing understands your needs for a leak free home. We get many calls from frustrated homeowners complaining about previous roofers. Since the hurricanes in 2004 many homeowners are faced with the same problem. Many roofing contractors who were in business in 2004 are no longer around. Many roofs that were installed in this time period were done so improperly, resulting in leaks which appeared after the contractor was long gone. Many roofs leak into the soffit area before showing up inside the home. They start out small and can grow in size, and before too long they are a major problem. Our experienced technicians can diagnose the problem, and repair the leak before disaster strikes. We will come to your home, assess the problem and give you a written proposal which includes -not an estimate, but a price. You see, we will do the work properly, then stand behind our work. MANY OTHERS GIVE AN ESTIMATE, OR A PER HOUR COST. THAT WE STAND BEHIND. WE REGULARLY BEAT OTHERS LOW END ESTIMATES WITH OUR FIXED PRICE, AND ALL REPAIRS ARE GUARANTEED FOR ONE FULL YEAR.